Contemporary artist and researcher Sonia Mehra Chawla writes about the research she undertook in Aberdeen in June 2018 to inform an upcoming residency with Edinburgh Printmakers. Thoughts on a landscape in flux and life after Oil. What can we learn? While in Aberdeen, I was keen to explore some of the critical changes that are sweeping Scotland’s coasts and waters as a result of anthropogenic climate change, with a special focus on its changing energy landscape. At this stage, it is difficult to determine whether warming or depletion is the more critical issue that needs to be addressed, but we know that both crises are caused by our reliance on fossil fuels. Earth’s natural resources are already under severe pressure from current rates of consumption, and the amount of fossil fuels available to humankind is finite. The North Sea is warming fast. ‘The projection over the 21 Century is that there will be a three degrees rise for most of the North Sea’. The changes are likely to alter the ecosystem, affecting the distribution and abundance of plankton (the foundation of the marine food chain), and threatening and endangering indigenous fish such as cod, with implications for the fishing industry and the communities that depend on it. The critical question in this scenario is-what kind of life will the oceans of the future support, and can it sustain us? In a similar vein, the energy landscape of UK is in a state of flux. There is currently a gradual transference away from fossil fuels to renewable energy generation. Colossal industrial infrastructures, oil rigs and platforms, are slowly disappearing from the North Sea, and along with them an economy and way of life that has helped to sustain the United Kingdom since the late 1960s. The transition poses challenges, both seen and unseen. Two decades ago, the North Sea was one of the world’s largest sources of oil. Over the next decade or so, thousands of sub-sea wells will be plugged, and hundreds of oil and gas production platforms detached and removed from the North Sea. This could become one of the largest ever exercises in industrial decommissioning. Addressing the environmental impacts and engineering challenges of decommissioning is complex, and even more challenging at a time when the price of oil continues to fluctuate. In addition, according to experts, closing down oil and gas operations in the North Sea is likely to cost double the government’s current target, leaving younger generations with a hefty tax bill. A view of Aberdeen harbour and Marine Operations Centre from Torry. What will the future embrace? Aberdeen looks so different from anywhere else. Imposing granite buildings, the mica sparkling silver in the sun, and classical architecture casting profound shadows, making the city one of the most distinctive in Europe. Even in the city, you smell the sea. The petroleum industry in Aberdeen began with the discovery of significant oil deposits in the North Sea during the mid-20th century. The first UK offshore oil field was discovered in the late 1960s east of Aberdeen, further oil fields in the 1970s, and these were instrumental in transforming Britain both politically and economically. 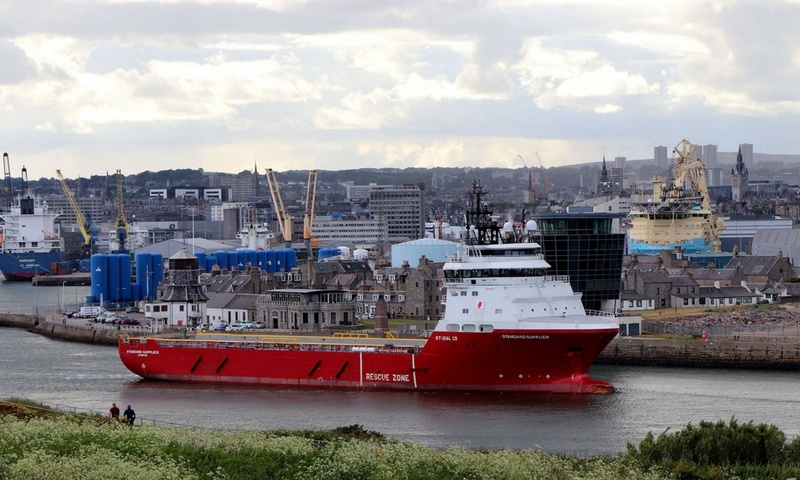 Aberdeen soon became the centre of Europe’s petroleum industry with an essential service port supporting offshore oil rigs and experienced an economic boom in the last three decades of the 20th century. 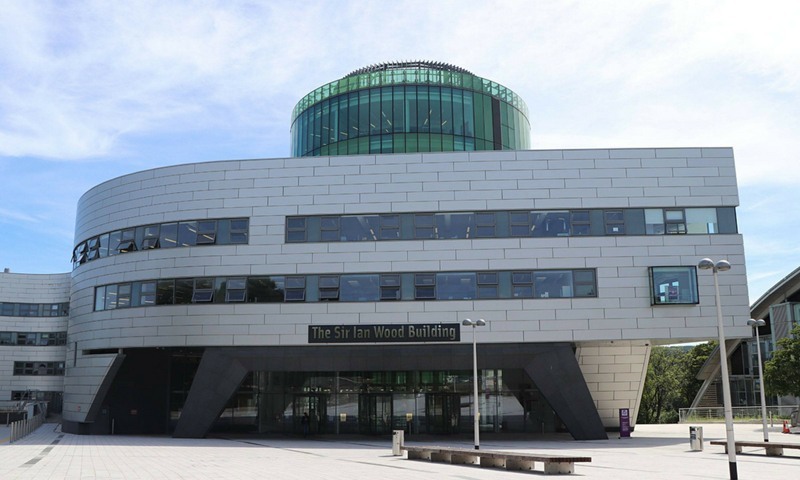 Aberdeen developed world class expertise in engineering in very problematic and challenging surroundings. 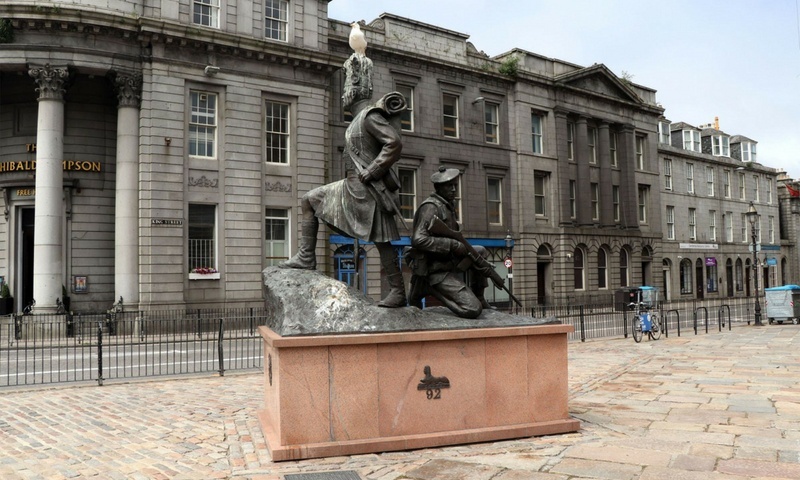 The city of Aberdeen in its Granite Glory. In those days Aberdeen was often called the ‘Oil Capital of Europe’, but the city is now in a state of flux and making a vital transition. The oil reserves are still flowing, but projections are that the North Sea has surpassed its peak production rate. The inevitable decline in North Sea production means that oil and gas activity in Aberdeen will not return to levels seen in recent years. As a result, the city is now expected to regenerate and redevelop as a research and development hub. Aberdeen is getting ready for an ‘abandonment phase’, the closure, dismantling and recycling of rigs and platforms over the next decade. This period in Aberdeen also sees an escalating interest in the development of new energy sources along with technology transfer from oil into renewable energy and other industries, as several projects shift from experimentation to implementation phase. 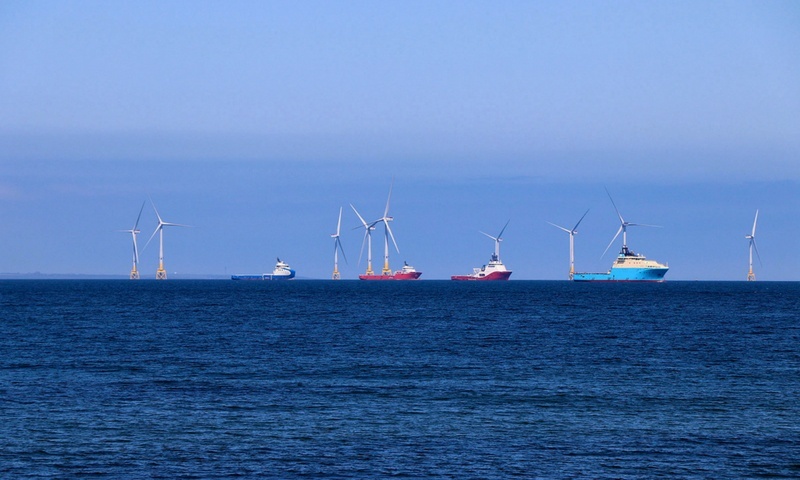 Construction of the massive Aberdeen Bay Offshore Wind Farm has just been completed, with the successful installation of 11 turbines; the project is due to produce more than 70% of Aberdeen’s domestic electricity demand and will save 134,128t of carbon dioxide each year. 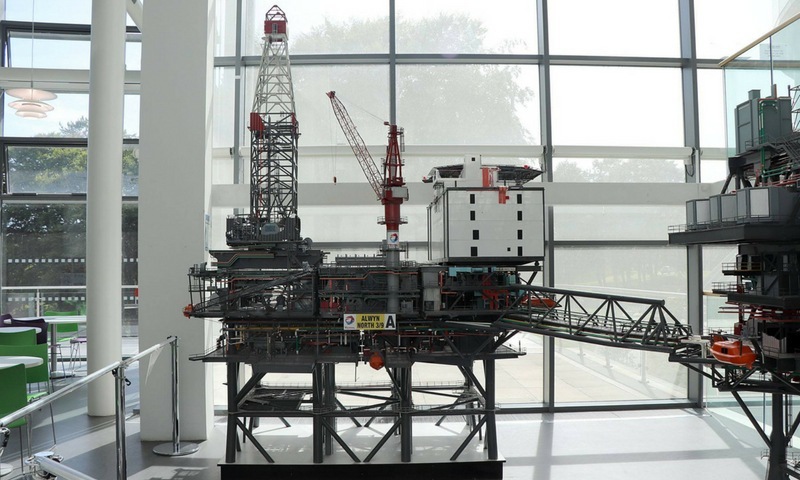 Detail of an oil rig model at RGU. 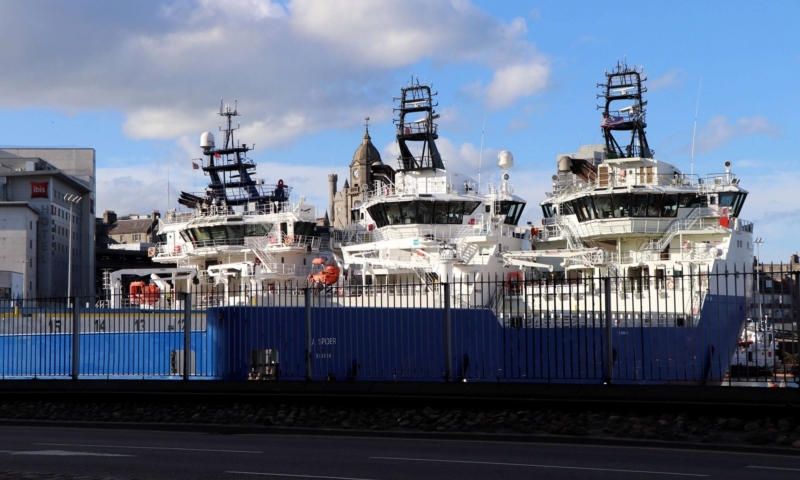 There are currently some substantial investments going into infrastructure in Aberdeen, and interestingly, still a lot of investment in the oil and gas sector. 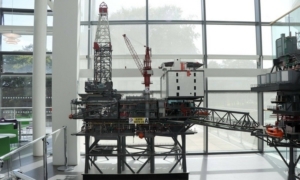 The UK’s first Masters degree in decommissioning oil rigs and platforms was launched by the University of Aberdeen in partnership with Robert Gordon University (RGU) in 2016. The Aberdeen Oil and Gas Technology centre, a brand new research and development facility opened in Aberdeen in 2017, with the aim of breathing life into the North Sea oil industry and improving efficiency while maintaining safe operations; the facility has a clear focus on new technology and approaches to field development, and a target for reducing decommissioning costs. In addition, the Aberdeen Harbour Expansion Project, Nigg Bay, a colossal expansion of Aberdeen harbour is set to open new significant opportunities for the city as well as the wider economy, from increased scale decommissioning activities, to accommodating larger vessels of up to 300 meters long, and potentially carrying two to three thousand passengers. The harbour will also accommodate a new tier of commercial vessel, shipping commodities such as grain, timber and food products. This £350 million project will continue for three years, and is scheduled to be completed in 2020. During my stay in Aberdeen, I was able to visit the construction site and visitor centre which hosts an interesting exhibition with information on design, construction and processes, along with details related to environmental management, and a section on the history of Torry. The visitor centre enables visitors to view real-time works from an elevated, privileged position. The dredging phase of the project was being executed, and large dredgers were operating on site to excavate underwater in order to get the depth the quay will need. The subsequent phase of the ambitious project will see a 165ft long by 53ft structure to help create a quay, enabling the harbour to accommodate heavier loads. The massive caisson unit has been fabricated in the Port of La Coruna in North West Spain, and will be relocated to Scotland. Aberdeen’s slowdown in the past few years certainly reflects the dangers of being a city dominated by one industry. This city has long been one of UK’s most economically prosperous and resilient cities, but the oil crisis has pulled the city into a state of crisis at a time when other cities have been slowly developing and progressing. What is also of grave concern is the social impact of the economic crisis. Here I refer to the lived human experience of crisis. Shocks transform the lives of many individuals and families, where people are at risk of falling into poverty and exclusion. Shocks affect everyday life in all its forms, which significantly includes both material and non-material dimensions of well-being. We need to collectively think about what a move away from fossil fuels implies for our economy and jobs, what part should industry and Governments play, what role could enhanced community participation play during these troubled times, and what is the cost of failure. What is crystal clear, is that Aberdeen needs to think seriously about how its economy can transition from fossil fuels. For many, however, the most pressing concern is the present, not the future. The root cause of the conundrum is human nature itself? In a profoundly troubled period of economic, environmental and social upheaval, climate change has become one of our supreme challenges. We need to accept that climate challenge is a reality and it needs to be addressed with urgency. Recent anthropogenic emissions of greenhouse gases are the highest in history, with widespread impact on human and natural systems. It is imperative to reduce, and eventually eliminate, our dependency on fossil fuels before it is too late. Acknowledging the global nature of climate change calls for the widest possible cooperation by all countries. There must be a sense of shared responsibility in a time of impending ecological disaster. If developed nations do not make significant, complete and absolute reductions in their emissions, there will be a progressively smaller carbon budget available to accommodate the development needs of developing countries such as my own, India. A view of Aberdeen Bay Windfarm, a major offshore windfarm project off the coast of Aberdeen, from The Marine Laboratories, Scottish Government in Aberdeen. The root cause of the conundrum is human nature itself. A post-carbon culture will be unlike the one we have today. It will require a global cultural shift in our value-systems and ambitions to build a sustainable future block-by-block. Then again, transitions are also a matter of social and economic justice. Poor and vulnerable communities across the world are at the frontline of climate change and are the most affected by its consequences. So addressing the climate challenge is also about rebuilding structures and systems to ensure that there is sustainable prosperity, economic health and economic growth for all. The transformation to a low carbon economy must be built on a foundation that is socially just, fair and equal for all, one that secures the future and livelihoods of workers and other vulnerable communities who are involved in high carbon sectors and rely on fossil fuel industries for work. This is the first blog of a three part series. Read Part II and Part III. All photo copyright: Sonia Mehra Chawla. ‘Soil, Not Oil: Environmental Justice in an age of Climate Crisis’ by Vandana Shiva. Published by Penquin Random House. And finally, a warm and sincere thanks to Sarah Manning Shaw, Alastair Clark, Judith Liddle and the team of Edinburgh Printmakers for their unfailing support.